Feeding tubes are often a necessity to provide nursing home residents who suffer challenges with swallowing and an inability to receive adequate nutrition, medication, and liquids. However, if the placement of the feeding tube is not performed correctly or checked before use, it can lead to lifelong chronic disabilities. In fact, the Zion elder abuse attorneys at Rosenfeld Injury Lawyers LLC have represented many nursing home residents who have suffered serious injuries caused by displacement of their feeding tube. Many doctors use feeding tubes as a last resort when the resident has lost the functioning ability to swallow without assistance. Unfortunately, a lack of competent training, unqualified nursing staff, and minimal monitoring can cause serious problems if an emergency arises when the feeding tube is being utilized. 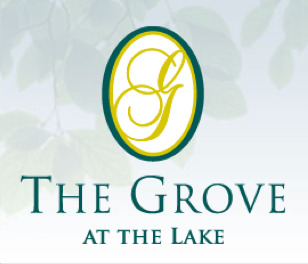 Along with skilled nursing care, The Grove at the Lake offers cardiac care, Alzheimer’s and dementia care, in-house bedside hemodialysis, neurological rehabilitation, orthopedic rehabilitation, pain management, pulmonary care, wound care, and physical, occupational and speech therapies. Many families use state and federal nursing home databases to make an informed decision of where to place a loved one who must receive the highest quality of medical and hygiene care. Each year, the federal government and the state of Illinois routinely update their databases and post the information on a variety of websites including Medicare.gov. Currently, The Grove at the Lake maintains an overall one out of five available star rating compared with other facilities nationwide. This includes four out of five stars for quality measures and one out of five stars for health concerns. In a summary statement of deficiencies dated 10/08/2015, a notation was made by a state investigator during an annual licensure and certification survey concerning the facility's failure to "check residual and placement of the feeding tube before starting feeding.” The state investigator also noted the facility’s failure “to apply the ordered dressing to [the resident’s] Percutaneous Endoscopic Gastrostomy (PEG) tube site.” The deficient practice by the nursing staff at The Grove that the Lake affected one resident at the facility. The failure was first noted at 1:45 PM on October 5, 2015 when a Licensed Practical Nurse (LPN) was cleaning a resident’s “PEG tube site with normal saline and applied a T-drain dressing to [the resident’s] PEG tube site.” During the procedure, the LPN failed to apply “any ointment or alginate to [the resident’s] PEG site. In a summary statement of deficiencies dated 10/08/2015, a notation was made during an annual licensure and certification survey by a state investigator concerning the facility's failure to "clean a glucose machine according to the manufacturer’s directions to prevent the spread of blood-borne infections.” The state investigator also noted the facility’s failure “to ensure staff [members] wash their hands and change contaminated gloves while providing personal cares to residents.” It was also noted the facility failed “to ensure dirty linen was placed in a receptacle to prevent cross-contamination.” The deficient practice by the nursing staff at The Grove at the Lake affected four residents at the facility. If your loved one has been harmed while residing at The Grove on the Lake or any other Illinois nursing facility, Rosenfeld Injury Lawyers LLC can provide immediate legal assistance. Our reputable Zion elder abuse attorneys can assist you in seeking the financial compensation you deserve for the injuries you suffered from a feeding tube mistake. We urge you to make contact with our Lake County nursing home abuse law offices today by calling (888) 424-5757 to schedule your free, no obligation full case review. We accept every nursing home abuse case through contingency fee agreements so that no upfront payment is required.